A Windows PC - at this time, Abbott devices can only be uploaded on Windows computers. 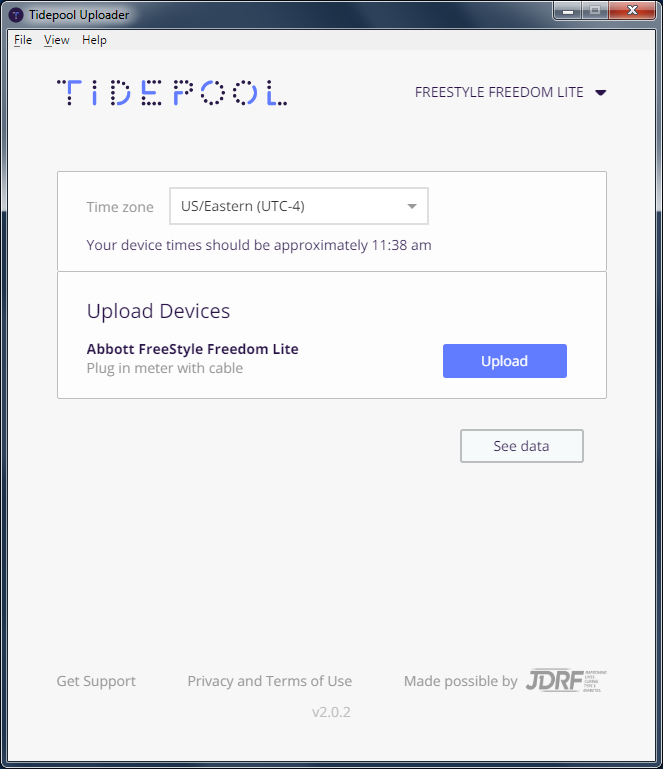 The Abbott Precision Xtra, Freestyle, and Freedom Lite are all dependent upon specific serial cables to upload. These cables are only supported on Windows at this time. Using the serial cable specific to your meter, connect your meter to your Windows PC. 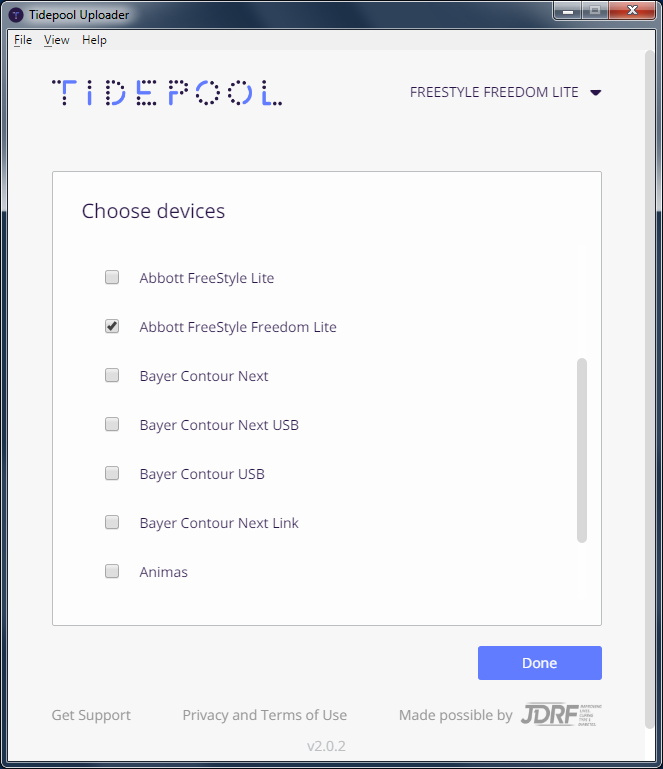 Confirm your specific Abbot Freestyle Meter is one of your Devices. You can change your devices by selecting "Choose Devices" from the menu under your name.